RUNNING for over 30 years is a local charity, providing opportunities for older people to enjoy activities together. 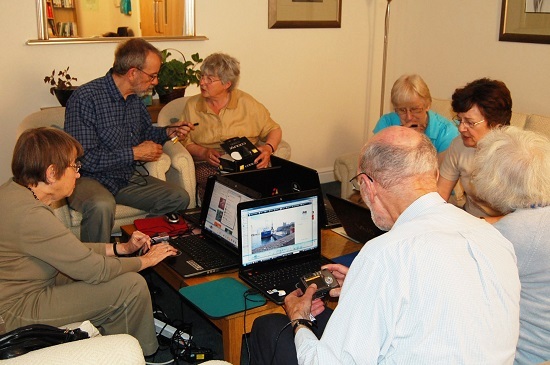 Established in 1983, Bristol U3A - Bristol University of the Third Age - covers a wide range of interests such as art, computing, history, current affairs, languages, science, textiles, music, mathematics, walking and Tai Chi, as well as games such as Scrabble and Bridge. Run entirely by its members, the charity places an emphasis on self-help education and social activity. The group is aimed specifically at those who are no longer in full-time work, and would like to make friends with like-minded people. There are over 120 different groups on offer. Groups meet during the day at weekly, fortnightly or monthly intervals, either in members' homes or at a suitable location. Monthly meetings also take place for all members, and visitors, for a chat over a complimentary coffee and biscuits. The Bristol U3A will be at the Celebrating Age Festival, which is taking place at the M-Shed on September 27, 10am-4pm. The cost to join the charity is £15 per year and £25 for a couple.